The US Food and Drug Administration (FDA) has approved Theravance Biopharma's revefenacin (YUPELRI) for the maintenance treatment of chronic obstructive pulmonary disease. A long-acting muscarinic antagonist (LAMA), revefenacin is administered once daily 175 mcg vial (3 mL) via a standard jet nebulizer as an inhalation solution. In a year-long phase 3 clinical trial, over 1,000 patients with COPD demonstrated positive results with revefenacin treatment. Specifically, patients reported general, positive toleration with no new safety issues. The randomized, active-controlled parallel group trial included 2 different revefenacin doses: 88 mcg or 175 mcg, inhaled via a nebulizer once daily. The drug's fixed-dosage safety and tolerability were tested over 52 weeks versus standard-of-care tiotropium (Spiriva), with the revefenacin participants comprising half of the study's patient pool. Other therapies, such as long-acting beta-agonists (LABA) or LABA/inhaled corticosteroids (ICS), were administered to the other half of patients with COPD. Cough, nasopharyngitis (swelling of the nasal passages and the back of the throat), upper respiratory tract infection, headache, and back pain include the most common adverse reactions. Administration of revefenacin should be avoided with other anticholinergic-containing drugs by health care providers. Administration of revefenacin at the same time as OATP1B1 and OATP1B3 inhibitors (e.g. rifampicin, cyclosporine, etc. ), is not recommended as it may cause an increase in exposure of the active metabolite. Paradoxical bronchospasm (wheezing) can be caused by revefenacin (as has been observed with other inhaled medicines). Patients should stay alert to and look for signs and symptoms of acute narrow-angle glaucoma, which can include eye pain or discomfort, blurred vision, and visual changes. If patients begin to experience any of these signs or symptoms, they should immediately contact their healthcare provider. 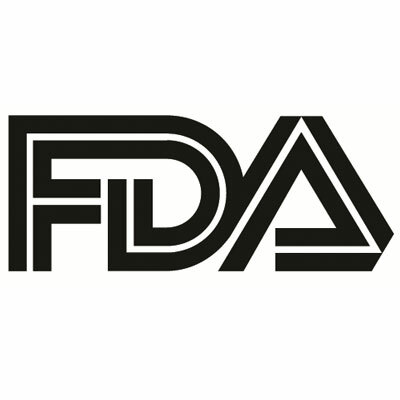 The US Food and Drug Administration (FDA) has approved Theravance Biopharma’s revefenacin (YUPELRI) for the treatment of chronic obstructive pulmonary disease.